Family details have not been confirmed but the following are possible. Between 1851 and 1871 Thomas and Ann McKeown had two sons and four daughters in Sydney. In 1905 Thomas McKeown died at 340 Annandale Street. In 1893, Thomas McKeown died at Sydney, son of Thomas and Ann. And in 1911, Robert J McKeown, son of Thomas and Ann, died at Newtown. Thomas McKeown has not been found on indexes to convicts or assisted immigrants. He was in Sydney by 1851 when he had a grocery store at 107 Pitt Street South. In 1856 he was a signatory to a petition from the electors of Sydney. He had established his wholesale and retail grocery at 575 George Street by 1858. In 1861 Thomas McKeown also had a grocery shop at 1 Walton’s Lane. In 1867 Robert McKeown of M Hanley & Co, was at 581 George Street. In 1869 Robert and Thomas McKeown, probably father and son, were grocers of 581 George Street. On 2 January 1866, Thomas McKeown, grocer, was declared insolvent and on 12 August 1869, his son Robert was also bankrupt. In 1895 Thomas McKeown, grocer, was at 26 Union Street with a private residence at Annandale Street, Annandale. In 1905, the year of his death, Thomas McKeown’s address was still 340 Annandale Street. 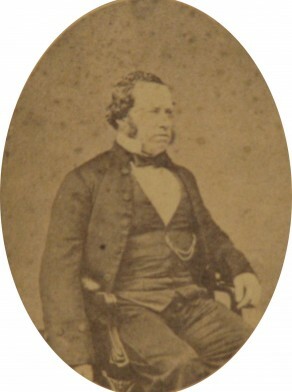 Thomas McKeown was Alderman for Denison Ward, 1 December 1859 to 30 November 1863. Gibbney, H J & Smith, Ann G 1987, A Biographical Register 1788-1939, ANU. Note that Gibbney states that William Henry McKeown (1822-1912), orchardist and poultry breeder, was a City Alderman but this person has not been identified.